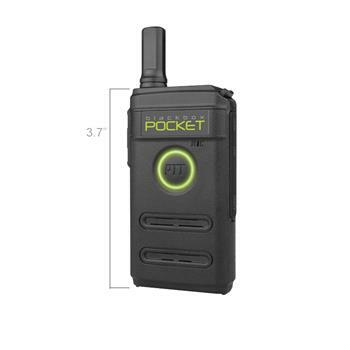 Lightweight and affordable, the Blackbox™ Pocket™ 2-Way Radio is packed full of features and is great for job sites, small hotels, security and warehouse use. 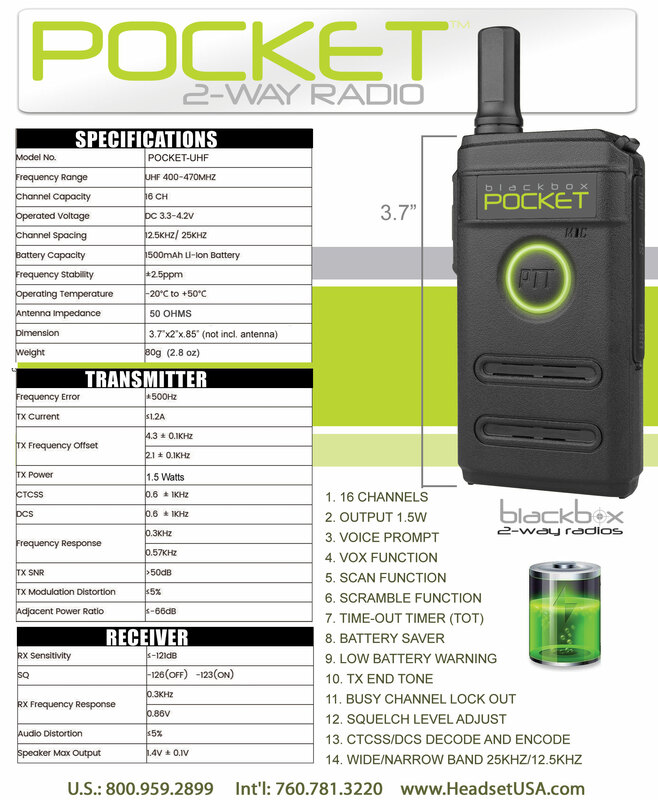 The Pocket™ 2-Way Radio by Blackbox™ is an extremely compact radio, standing at only 3.7" tall (without antenna), yes it is packed with features like a 16 channel capacity of UHF Analog use. It uses a K1 Connector, making it compatible with a huge selection of earpieces.